Check out our Physical Education (PE) webpage to discover everything you need to know about physical education for individuals with blindness or visual impairments. It's all right at your fingertips, and you can learn about this resourceful page by watching this week's Quick Tip! 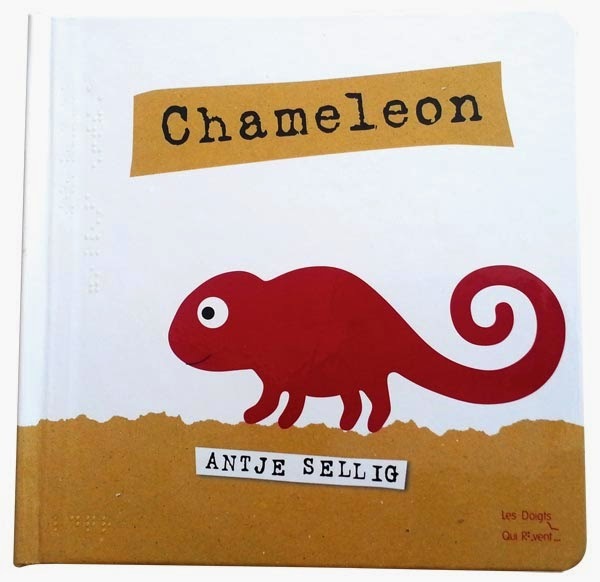 Chameleon is a print, braille, and tactile book featuring a friendly chameleon! Readers are introduced to concepts such as soft/hard, smooth/rough, big/little, on/under, heavy/light, short/long, and alone/together. The colorful chameleon shapes can be felt and seen. From a smooth black chameleon, to a fuzzy green chameleon, to the big purple chameleon, contrasts are presented. Some illustrations involve the child in manipulation. A shy chameleon hides “under” a textured leaf. To illustrate heavy and light, each chameleon can be lifted from the page. 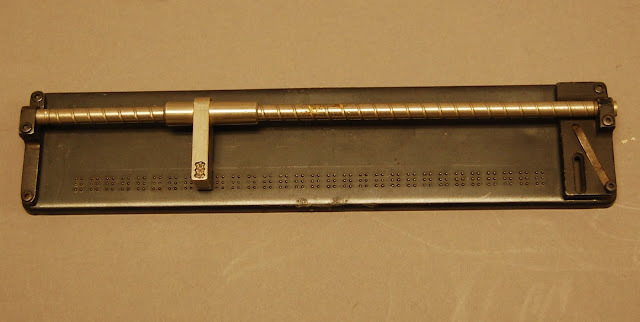 Our object this week is a very early and very simple example of what now is called a refreshable braille display. 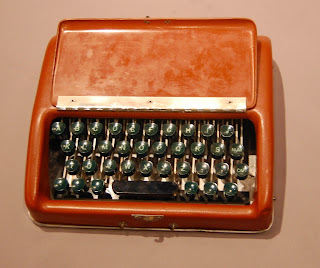 Unlike modern displays, which take digital files and convert them to braille, the Tellatouch facilitated communication between a typist and a deaf-blind reader, one character at a time. 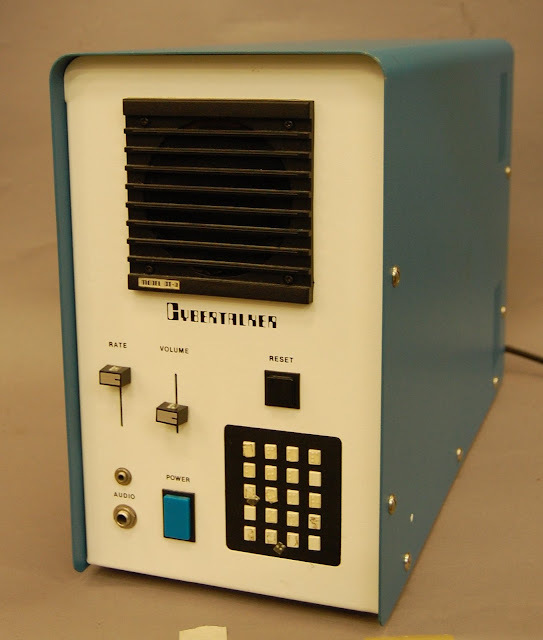 Jackson Kleber was an electrical engineer who had worked for both RCA and Bell Telephone. 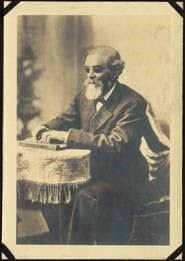 Laid off as a result of the Depression, he came to work for the American Foundation for the Blind in 1932 to help continue research efforts on the development of the "Talking Book." Now on Quota: APH's Accessible Math Robot App!